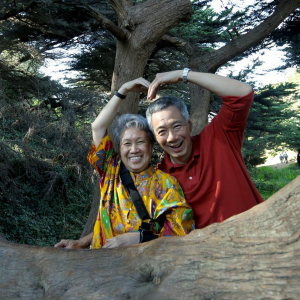 Today (Friday, Feb 10) is a momentous occasion: Singapore’s Prime Minister Lee Hsien Loong turns 65! 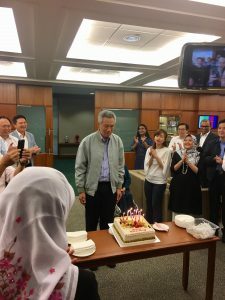 Earlier this week, on Tuesday (Feb 7), Cabinet ministers and members of parliament threw a surprise birthday party for PM Lee, reported The Straits Times. 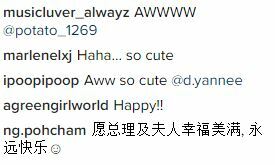 Minister for Social and Family Development Tan Chuan-Jin uploaded a Facebook video of the celebration, starting with everyone singing the birthday song. To commemorate our Prime Minister’s birthday, let’s take a look at 8 reasons why he’s the coolest PM around. 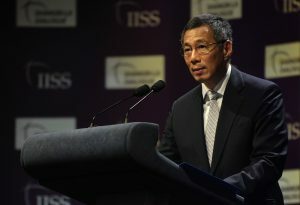 In 1973, while he was studying mathematics at Cambridge University’s Trinity College, PM Lee became the first-ever senior wrangler from Singapore. Basically, that means he graduated top of his class. Being a Senior Wrangler is considered one of the “greatest intellectual achievements” attainable in Britain. 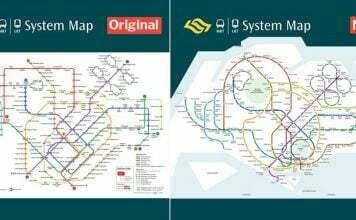 Read our story on PM Lee’s maths skills. According to his tutor, Mr Lee was miles ahead of everyone else. 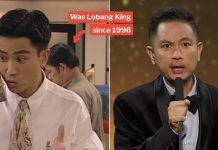 He could have become a renowned mathematician, but fortunately for us, he chose to return to Singapore instead to focus on politics. 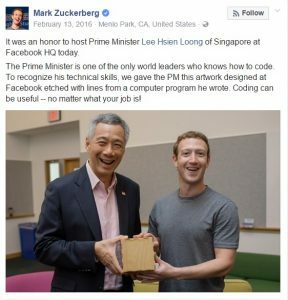 Apart from being a genius in Mathematics, PM Lee is also a wicked programmer. Under the advice from his father, founding father Lee Kuan Yew, Mr Lee also studied Computer Science at Cambridge. Wait, what?! Is our prime minister a Jedi, too? 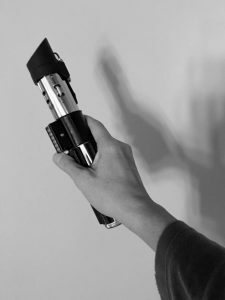 Okay okay, so he isn’t a Jedi Master and can’t manipulate the Force — at least we don’t think so, as the Star Wars movies are supposedly fictional. 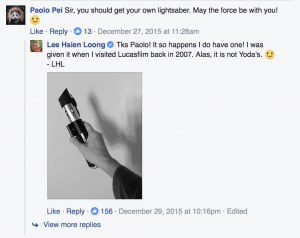 But he does have a real lightsaber — given to him by Lucasfilm back in 2007. 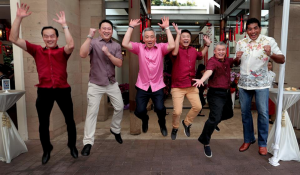 PM Lee can often be spotted wearing pink and we’ve always wondered why. Could it be his favourite colour, or is it just his unique sense of fashion? He is also willing to do something that is usually associated with youngsters, i.e. a jumpshot. We must say he looks good, and more fashionable than men who are younger than him! 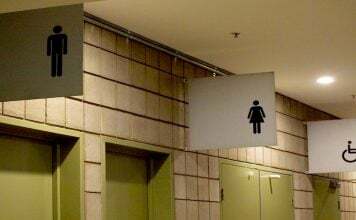 As you may know, behind every successful man is a woman. 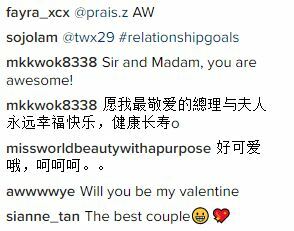 For PM Lee, that woman is Ms Ho Ching. 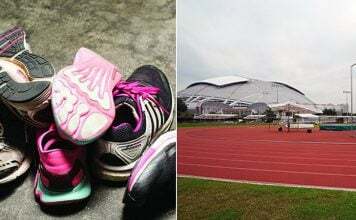 Despite having a busy schedule, PM Lee never forgets the average Singaporean. Be it taking a picture with residents or a walkabout around the neighbourhood, he always finds time to mingle with the common folk. 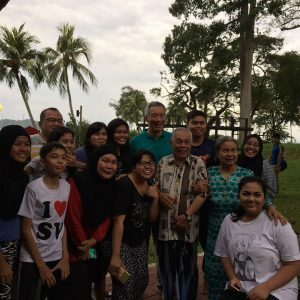 Earlier in January, while having a walk on Changi beach, he turned up unannounced at a chalet and took a photo with a family holidaying there. Read our story on his impromptu visit. 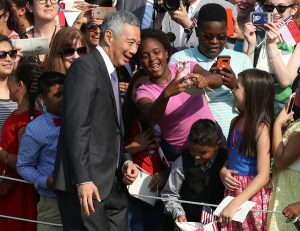 When he was invited to the White House by then United States President Barack Obama, PM Lee gladly acceded to selfie requests from Americans. He may be the most powerful man in Singapore, but he is still very much down to earth and friendly. PM Lee has served Singapore in the political scene for the past 33 years. 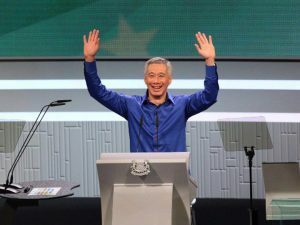 This year will mark his 14th year as Prime Minister of Singapore, and I’m sure all Singaporeans are aware that he puts his heart and soul into running this country. 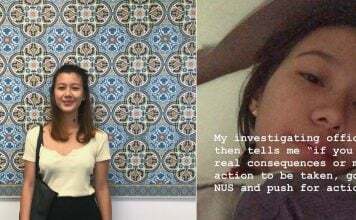 A perfect example of this was during last year’s National Day Rally, when he felt unwell, and appeared to stumble on “live” television while delivering his speech, shocking the nation. He then proceeded to finish his speech. 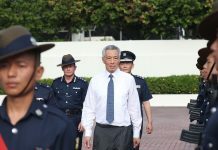 The Straits Times quoted the Prime Minister’s Office as saying that Mr Lee’s heart is fine and he did not have a stroke, to everyone’s relief. 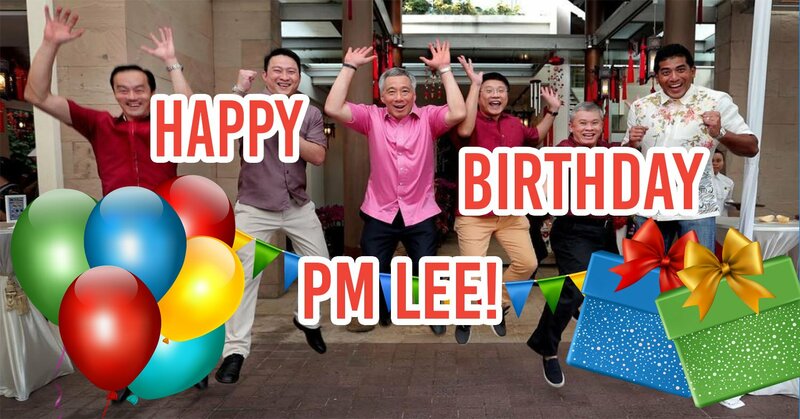 With over 1.1 million likes on his Facebook page and 481,000 followers on Twitter, it’s evident that PM Lee is well liked by people (not just Singaporeans). We’d like to thank PM Lee for everything he has done in the past, and will continue to do for Singapore in the future. Have a very happy 65th birthday, Mr Lee!